The 49th Paris Air Show at Le Bourget from 20-26 June will be showcasing the latest technological innovations in aerospace. 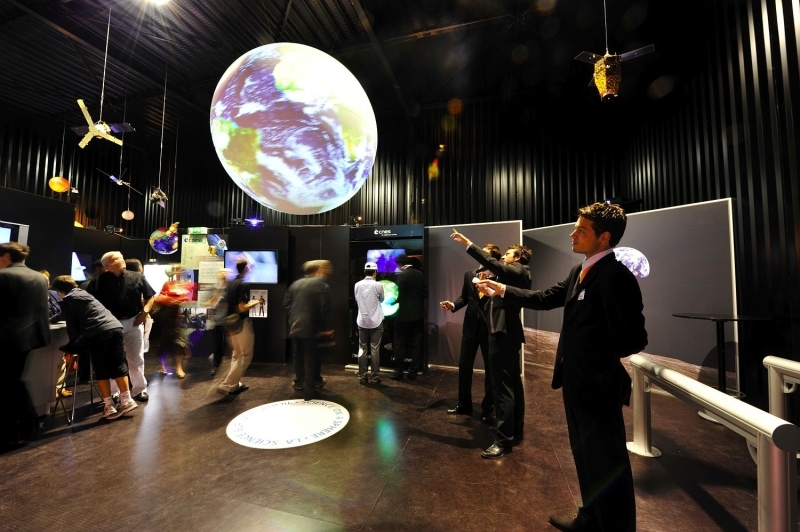 CNES will be there with an original pavilion spotlighting three themes: daily applications, innovation and Europe. The last Paris Air Show in 2009 pulled in the crowds. Credits: CNES. 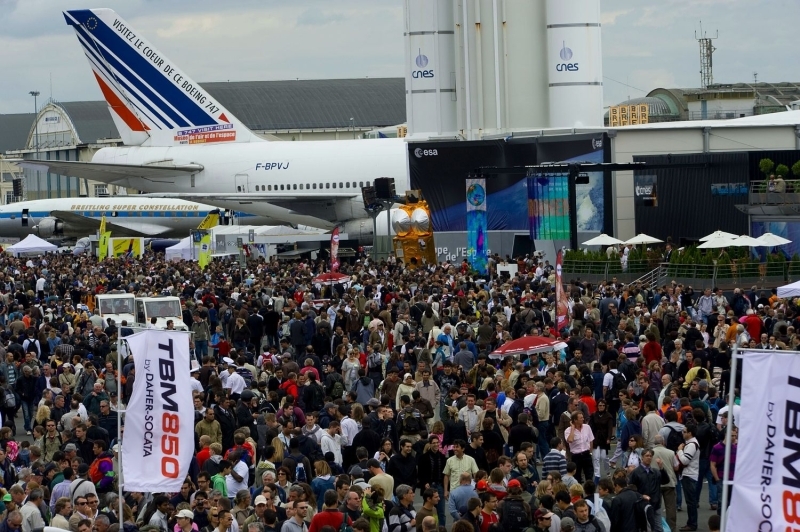 The 49th Paris Air Show opens its doors this year at Le Bourget from 20-26 June. As a key player in the space community, CNES will once again be present at this must-attend event on the aerospace calendar with a new pavilion for professionals and the public. And to celebrate its 50th anniversary, France’s space agency intends to leave its mark on this year’s show. CNES pavilion at the 2009 Paris Air Show. Credits: CNES. Three thematic areas in the pavilion—focusing on daily applications, innovation and Europe—will be showcasing practical applications and new technologies, and will also have some sensory surprises in store for visitors. 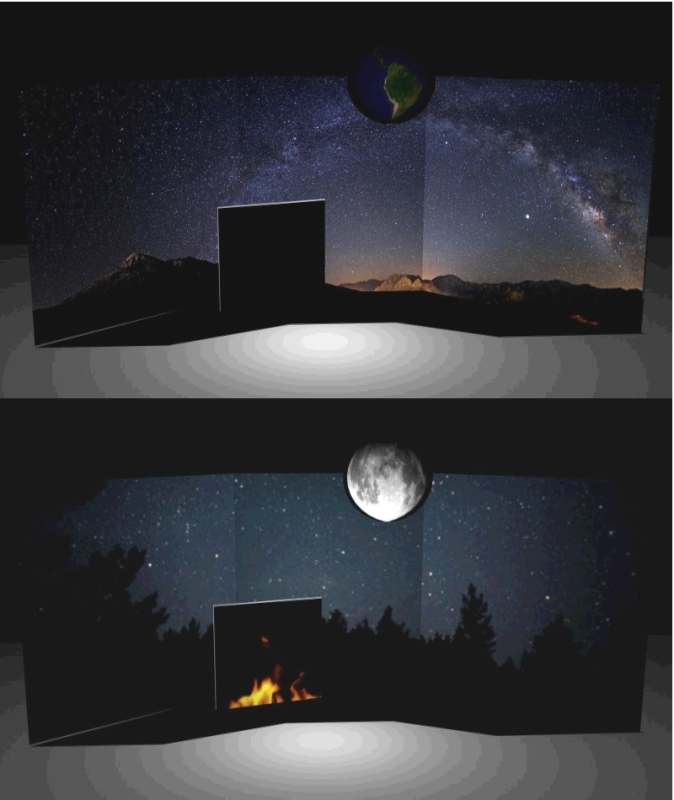 A giant screen in the shape of the CNES logo on the front of the pavilion, life-size holographic and interactive characters and spectacular 3D films will be putting the emphasis on the use of novel means of communication. Sneak preview of the Pandora production showing changing landscapes and an Earth that turns into the Moon. Credits: UTRAM/CNES. Pandora will project pictures, sound and light onto 3D shapes, putting the visitor in the middle of an eye-catchingly staged show. This 2-minute audiovisual production will trace the rich heritage of modern space innovations. CNES will also be sharing its exhibition space for the first time with DLR, the German space agency, thus affirming its commitment to pursuing the successful bilateral cooperation between the two agencies. A series of conferences will also be taking place throughout the week in the meeting area of the pavilion. A wide range of topics will be discussed from telehealth, space ethics and parabolic flights to planetology.